All regulatory bodies has the responsibility to provide access to the safe, effective and quality, medication to their people. The Central Drugs Standard Control Organization and Drug Controller General of India are bequeathed to protect the citizens from the exposer of unsafe medication. Either it is through clinical research or marketing. 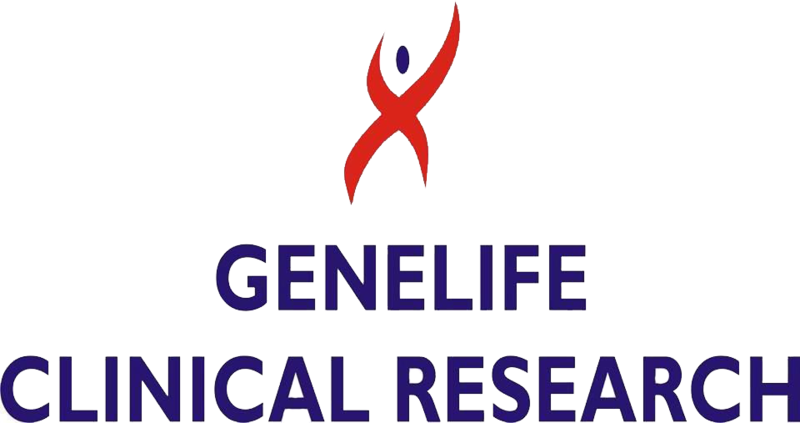 The growing clinical research after the product patents rights for the pharmaceutical industries as per the trade related aspects of intellectual property rights agreement and adverse drug reaction monitoring, rights and safety of Patients, compensation after adverse event clinical research and of the marketed drugs have raised many ethical and regulatory issues. The regulatory measures has to be dynamic and ever evolving in consonance with the developing technologies. Indian regulations have also experienced this a lot of change from british era. Last three years were little disturbing and this lead to loss of opportunity and mistrust in Pharmaceutical domain. But now regulation is well organized, systematic and compliant to international regulatory standards for pharma products, medical devices, traditional herbal products and cosmetics. Now question arise why Indian regulators took so much time in this reform? To understand this we have to understand the history of Clinical research. It started in British Raj when most of the drugs were imported from foreign countries. Post First World War, the demand for drugs had increased tremendously and that led to the cheap, substandard, spurious and adulterated drugs into the market. To control in market, Government passed the Poisons Act 1919. This Act regulates possession of substance or sale of substances as specified as poison. The Poisons Act was followed by The Dangerous Drugs Act 1930. This act regulates the opium plant cultivation, manufacture and possession of opium, its import, export, tranship and sell of opium. In response to widespread ‘Gigantic Quinine Fraud’; the Government, then, formed a Drug inquiry committee under Sir Ram Nath Chopra also known as ‘Chopra Committee’ whose recommendations later on tabled amidst growing protest in legislative assembly as ‘The Drug Bill’ later on amended to the Drugs and Cosmetic Act 1940 (D and C Act) and Drugs and Cosmetic rules of 1945. This also established the Central Drugs Standard Control Organization (CDSCO), and the office of its controller, the Drugs Controller General (India) (DCG(I)). The CDSCO in the Directorate General of Health services, is a division in Ministry of Health and Family welfare, Government of India, headed by Drug Controller General of India (DCGI). It has four zonal, three sub-zonal and seven port/airport offices and six laboratories to carry out its activities. The Drugs and Cosmetic Act, 1940 came into force from 1st April 1947. In year 1948 Pharmacy Act came into existence to regulate the profession of pharmacy in India and in 1955 Drugs and Magic Remedies rule came into existence for control the claim and advertisement. In 1962, government extended the regulatory provisions to the cosmetics, and finally the Act came to known as Drugs and Cosmetic Act 1940. Drugs and Cosmetic Act has been divided in Chapters, Rules and Schedules and is amended from time to time to control the safety, efficacy and quality of the drugs. It is an act to regulate the import, manufacture, distribution and sale of the drugs and cosmetics. Manufacture and sale is under the respective states governments and union territories through their respective drug control organization, whereas setting standard, import, marketing authorization and monitoring of adverse drug reactions of a new drug is under Central Government. Under Chapter Two of this Act, one statutory board and a committee have been framed called Drugs Technical Advisory Board (DTAB) and Drug Consultative Committee (DCC) separately for Modern Scientific System of Medicine and Indian traditional system of Medicine and a provision of Central Drug Laboratory at Central Research Institute, Kasauli for testing drugs has been made in this act. DTAB comprises of technical experts who advises central and state governments on technical matters of Drug regulation. Amendment, if any, to Drug and Cosmetic are made after consulting this board. During this period the market share was dominated by multinational companies and very few Indian manufacturers were present. The Indian Pharmaceutical industry was in an early stage of growth. Focus for pure research and development was very little due to lack of patent protection. Due to very high import dependency on drugs, the cost of drugs was very high as well as market availability was comparatively low. In 1955, government has passed Drugs Prices Control Order, 1955 (DPCO) (under the essential commodities Act). Due to which many essentials drugs were unavailable in Indian market. To save Indian companies and to provide medicine Indian population at low cost Indian government introduced Indian Patent Act of 1970. This new act replaced the Indian Patents and Designs Act of 1911. The Indian Patents Act of 1970 originally had provisions for ‘process’ patents only. Now, local companies began manufacturing products/ drugs using different manufacturing process by reverse engineering. Due to this new drugs were available cheaply as well as many more substitute drugs were available in the market against costly imported new drugs. This has resulted in 1) increase the exports to countries like Russia, Africa, China, and South America. 2) Export of Bulk drug post patent expiry. In 1994, Government signed the agreement on Trade Related Aspects of Intellectual Properties (TRIPS) to provide minimum protection to the Intellectual Property by the member states of World Trade Organization (WTO). India amended the Patent (Amendment) Bill before 2005 and extended its weak process patent to strong TRIPS competent ‘Product’ patent system for pharmaceutical products. The Indian government, realizing the potential of clinical research for new therapies, has modified and amended Schedule Y to the Drug and Cosmetics Rules of 1945. Schedule Y establishes a set of guidelines and requirements for clinical trials. However, Schedule Y was written with the generics industry in mind but increase entry of foreign pharmaceutical companies after the introduction of strict patent rules in the area of clinical research led the government to introduce many changes. The government recognized the importance of their regulation and thus developed Ethical and Regulatory Guidelines. The Indian Council of Medical Research (ICMR) issued the Ethical Guidelines for Biomedical Research on Human Subjects in 2000 and CDSCO released Indian Good Clinical Practice (GCP) guidelines in 2001. With the application of Product patent in 2005, recognizing individual's innovations through the Trade Related Aspects of Intellectual Property Rights (TRIPS) agreement, which India had signed in 1995, became effective. Indian companies began to respect Intellectual Property rights, consistent with international standards. With the increasing faith in the system, companies flooded the market and more global trials came. Lately, to decrease the review time of application from 16 weeks to 10 weeks the CDSCO has introduced the fast tracking of clinical trials in 2006. The DCG (I) created two categories of applications; Category: (A) Those also being conducted in countries with competent, mature regulatory systems, and Category: (B) Everything else. Trials that fell into category A (received approval in the U.S., Britain, Canada, Germany, South Africa, Switzerland, Australia, Japan and countries in the European Medicines Agency (EMEA)) would be eligible for fast tracking in India, with approval taking no more than two to four weeks. Trials in category B would fall under more scrutiny; with approval taking 12 weeks once an application is considered under Category B, it, in any case, cannot be shifted to Category A. Nearly all global trials are in the Category A. In 2011, Drugs and Cosmetics (First Amendment) Rules was implemented. It mandates registration of Clinical Research Organization (CRO) for conducting Clinical Trials (CT). Schedule Y suggests requirements and guidelines for registration of Clinical Research Organizations. Although amendment to Schedule Y, registration of Contract Research Organizations, registration of Clinical Trials, Speeding up review process, Pharmacovigilance (PV) programme for India and Inspection of clinical trial sites have been started. However due to casual approach in marketing approval, unethical steps taken by some pharmaceutical companies and medical practitioners has reiterated the need to amend the regulations. DCGI slowed down their actives related to approval of studies as per the guidance of Supreme Court and Government of India and started concentrating on the regulatory framework. As we all understand that regulatory improvement is continual process and no system is perfect. DCGI still needs a lot of improvement to ensure safety and wellbeing of Indian population along with promoting introducing new product. #Prorelix #Research based in #India, #UK is #Top Clinical Contract #Research #Organization Provides #Best Pharmaceutical #CRO Services Work London. Prorelix Research based in India & UK is the Top Clinical Contract research organization CRO provides Clinical trial services, Scientific Medical writing, Clinical research companies in IndiaClinical trial services in India. #Pharmatrendz is a Best #Clinical #Research #Institute in Bhubaneswar,This training aims at PharmaTrenz is building a #ClinicalDataManagement platform for the growth of talents, accelerating growth of domestic professional clinical data.